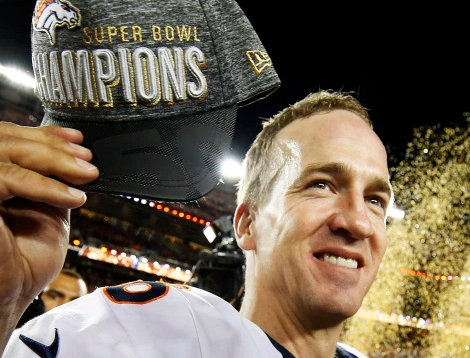 Peyton Manning has been cleared of doping after a seven-month NFL investigation. The former Denver Broncos quarterback was investigated for breaking the league’s anti-doping policy after Al-Jazeera America accused the player of taking human growth hormone (HGH), which had been shipped to his wife Ashley. The report was condemned by Manning, who called it ”completely fabricated, complete trash, garbage” and said he had been clean as he attempted to come back to the league after missing the 2011 season with a serious neck problem. Four other players – Green Bay linebackers Clay Matthews and Julius Peppers, Pittsburgh linebacker James Harrison and free agent Mike Neal – are still under investigation. An NFL statement read: ”The Mannings were fully cooperative with the investigation and provided both interviews and access to all records sought by the investigators. “Initiated in January, the investigation was led by the NFL’s security and legal teams with support from expert consultants and other professionals. “The investigation involved witness interviews, a review of relevant records and other materials, online research, and laboratory analysis and review.